George Clooney: Hollywood front man and…lobbyist? Known for his role in some of Hollywood’s top blockbusters, George Clooney is no stranger to Washington. While Clooney himself is not actually a registered lobbyist, he has visited the White House to discuss his favorite issue: the genocide in Darfur. Just over a month after President Obama was inaugurated, Clooney visited the president and Vice President Biden to discuss the crisis in the region. 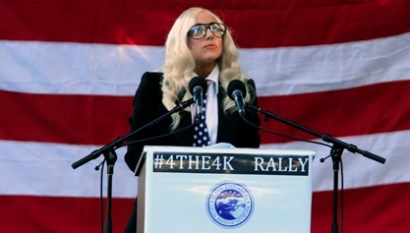 While not as outwardly vocal as other celebrity lobbyists, including Lady Gaga, Clooney, through “Not on Our Watch,” a monitoring organization he co-founded along with fellow Ocean’s trilogy actors Don Cheadle and Matt Damon, and Brad Pitt, David Pressman, and Jerry Weintraub, seeks “to focus global attention and resources towards putting an end to mass atrocities around the world,” according to the organization’s website. The organization is a grassroots organization, urging citizens to contact elected officials, including President Obama, and encourage the US to take action on these issues. Posted in Celebrity Lobbyists | Comments Off on George Clooney: Hollywood front man and…lobbyist? 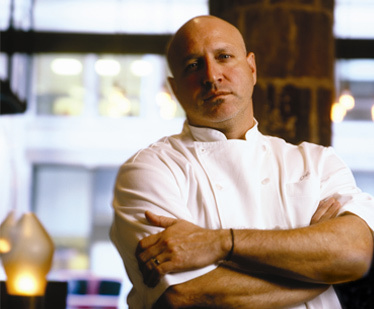 Tom Colicchio, judge of Top Chef DC, will be heading to Capitol Hill this Thursday to lobby on behalf of the Improving Nutrition for America’s Children Act,” sponsored by Rep. George Miller (D-Calif.). (PDF here). This visit comes on the heels of last week’s Top Chef DC competition of creating a healthy school lunch that was on budget (which is ridiculously low), kid friendly and healthy. Not an easy task. Cheers to Chef Colicchio for lobbying for healthy and affordable meals for kids in the US.